Mammii is a brand of empowering, unique jewellery by the Croatian designer Maja Miletić. 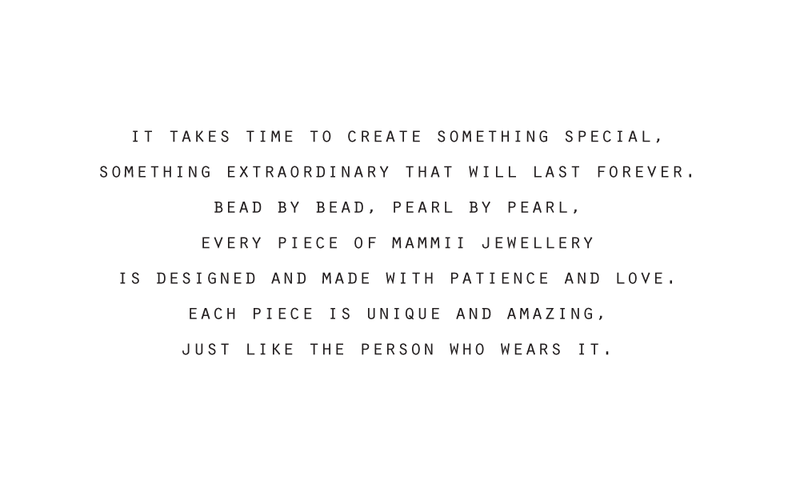 Each necklace is meticulously braided by hand during a process that can sometimes take days to complete. Mammii is developing quickly so she decided to take it to the next level and asked us to design her visual identity and packaging. Maja's necklaces are timeless, liberating pieces of jewellery designed for strong women. These associations needed to be evident in her visual identity. In the logotype we captured the repetitive braiding movement using the rhythmic letters in the brand name mammii, while the packaging was designed to distinguish and protect the pieces. On the inside is a story about her passion, and each box is personally signed by her. She also has the options of picking different color wrapping paper to help the piece stand out.